2007 Ciacci Piccolomini Brunello di Montalcino "Pianrosso"
The wines selected for this dinner are new releases and most of them are not yet in the market, as they will become available later in the summer and early fall. So this is a rare opportunity to taste this many examples of Brunello di Montalcino at one sitting and to enjoy them with the cuisine of Via Carducci chef Joseph Rosetti. You will be among the first people in Chicago to taste these superb wines! Space will be limited, so reserve your seat at this dinner right away. Call the restaurant at (773) 665-1981. A credit card number will be required at the time of the reservation. If you have any food allergies, let the restaurant know at the time of reservation. Looking forward to seeing you on June 6 for this special evening! If you've read my blog over the past two years, you know how much I love Sauvignon Blanc from Chile. 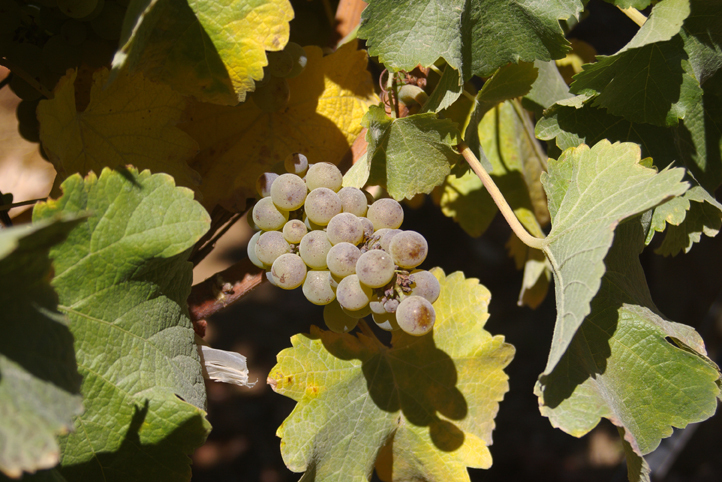 For decades, red wines - especially Cabernet Sauvignon from Maipo Valley - have been the most acclaimed from this country, but little by little, more attention is being paid to the white wines, especially Chardonnay and Sauvignon Blanc from cool zones such as Casablanca, Leyda and San Antonio Valleys, located not far from the Pacific Ocean. At the outset, I must admit I have been routinely disappointed with the wines - white and red - from this Chilean firm, owned by the Lafite-Rothschild company of Bordeaux. So I was thrilled to enjoy this lovely Sauvignon Blanc which is quite simply, delicious! There are beautiful lime, pear and peach fruit flavors and excellent persistence, but it's the sleek, vibrant acidity of this wine that holds everything together and begs you to try another sip. This is clean - no oak aging- and very refreshing. Enjoy this over the next 2-3 years with shellfish, whether sautéed or even lightly grilled- it's lovely with either. Suggested retail price - $14. Considering the price of a similar quality Sauvignon Blanc from France or California, this is an excellent value. When I tasted the 2009 version of this wine (I believe that was the inaugural release), I was blown away! (read here). The 2011 version is on par with that wine, as this is all about exotic aromatics of pink grapefruit, mango and pineapple, backed by a rich mid-palate and vibrant acidity. Colchagua is not thought of as a valley in which to produce top-notch white wines in Chile, but the owners of Casa Silva have found a small parcel near the ocean that delivers outstanding fruit. Enjoy over the next 2-3 years with shellfish and especially with Thai food. Suggested retail price - $25. Here is one of the best wines from Chile as regards to outstanding quality and an excellent price. This is a single vineyard Sauvignon Blanc from Casablanca Valley that is simply irresistible! This has complex, gorgeous aromas that just scream Sauvignon Blanc with notes of gooseberry, spiced pear, melon and freshly cut hay. These perfumes just jump out of the glass- one smell of this wine and you're hooked! Superb texture and excellent persistence - you'd think this had seen at least a few months or oak aging, but there was no oak contact at all with this wine, only steel. Vibrant acidity and a flavorful finish with appealing notes of spearmint and tarragon. This is great now and should be consumed over the next 2-3 years, not only with shellfish, but also rich seafood such as Dover sole and halibut- don't worry, this wine will stand up to almost any seafood. Outstanding value at $15 and an outstanding wine, period! I'll review more cool climate whites from Chile - Sauvignon Blanc and Chardonnay - in an upcoming post - but for now, the moral of the story is that 2011 was a great vintage for Sauvignon Blanc throughout Chile. Don't miss out on these great values!